In late December, more than an outbreak of the H3N2 flu began at the Arroyo Grande Care Center, which is located in the 1200 block of Farroll Avenue. There have since been more than 20 cases of H3N2 reported at the facility, according to the San Luis Obispo County Public Health Department. Individuals over the age of 65 and under the age of 5 are most susceptible to H3N2. 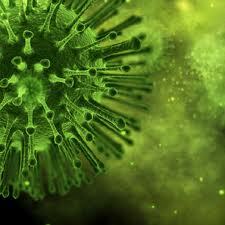 The virus can cause patients to suffer severe complications and even death. Public health officials say the nursing facility is doing everything right to prevent the spread of the virus. Arroyo Grande Care Center has stopped admitting new patients, and it is administering anti-virals to those who have and have not contracted the virus. Everyone who is currently at the facility has taken the flu vaccine. It is unclear if the patients who died were vaccinated prior to the outbreak. Health officials said they expect the virus to continue to spread since flu season typical peaks in January and February. No flu-related deaths have been reported this season in Santa Barbara County. I have never had a flu vaccine and have had the flu so many times it would make your head spin. This only makes you stronger and less susceptible to stronger strains of flu. You people and your flu shots are going to weaken the entire human genome. Besides it is the dominant of the species that is meant to survive. Think about it. If there were no vaccines, how many of our elected officials might not have lived to adulthood. A lot of bad laws might never have been written. A lot of rich greedy people might have all died before thier greed could have starved millions to death in this world. Thjnk responsibly. Just because someone is elected does not make them the right person for the job. The human being is an organism. We need strength to survive just like any other species. Vaccines weaken the organism. I don’t know it seems pretty clear to me…they did not. Not true. They cannot release the medical information of the deceased, since that information would have been contained in their records. The facility gives residents flu shots but it is up to the responsible party of the person if they actually get one or not, since they cannot force someone to get vaccinated. Also, the flu shot does not protect against all flu strains, so even if they had gotten the flu shot it’s not 100% protection against every strain there is, just what is predicted to be the most popular one. I wonder if they got the flu shot. People don’t understand just how deadly the flu virus can be. I know a doctor who almost died at age 33 of H1N1. Literally almost died-intubated, pulmonary edema. It can cause multi organ failure. I hope no one else gets sick. cencoastrn: was there something about the man that made him susceptible to complications? That is very scary. She was pregnant. The baby died, and she was very close to term. Pregnancy can decrease the immune system a bit, but this person was healthy. I also want to say that I only share this story because I have heard this doctor tell this story to patients and their family members as a cautionary tale that the flu does still kill. I think our local doctors want their patients protected, and a yearly flu shot is recommended to keep up with the mutations of the virus. I went for many years without a flu shot, never again. The last bout with the flu I had was at the age of 42 and it put me in the hospital for a week. Influenza is getting stronger by the decade.